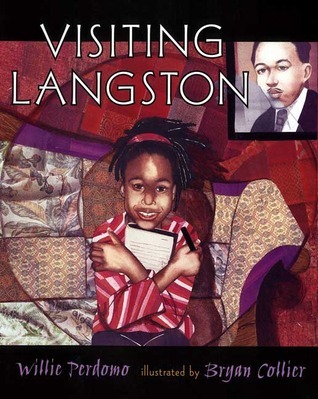 In this picture book, a little girl puts on her favorite pink blouse and visits Langston Hughes's house with her daddy. But that's where the story ends. I want to know what happens once she gets to Langston's house. My only criticism is that the text isn't long enough. Just when I started getting into the rhythm and story, it ended. But then again, I can't get enough of anything related to Langston Hughes. He is my all-time favorite poet. Bryan Collier's illustrations are lovely, thought-provoking, and as always, add another layer of meaning to the story. This would be a great book to pair with Ntozake Shange's Ellington Was Not A Street which also examines a child's reflection at the history-making African American men who have made this country great. Lots of background knowledge is needed to help students understand both books.